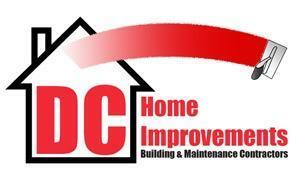 D C Home Improvement - Bathrooms, Kitchens, Plasterer based in Broadstairs, Kent. We are a family run business based in Broadstairs, working throughout Thanet and the rest of Kent. We are British Gypsum Accredited Plasterers, this means that we can offer you a 2 year guarantee, backed by British Gypsum on all plastering works. Our depth of experience in fitting bathrooms and kitchens means we can help and advise from the start and deliver your dream room, on time and on budget. Supply and fit or fit only available. All tiling and decorating undertaken. Knock throughs, extensions and full refurbs, no job too big or too small. Contact us now on 07973 740812 for a free estimate.